Democrats in the North Carolina House are fighting to raise the state’s minimum wage, which has been stagnant at $7.25 an hour for more than 10 years. Lawmakers argue that wages have not kept up with the cost of living: full-time minimum wage workers in North Carolina earn $15,600 annually, while the federal poverty level for a family of two is $16,910. North Carolina Rep. Susan C. Fisher (D- Buncombe) is the sponsor of one of two Democrat-led house bills which aim to raise the minimum wage to $15 over the next five years. History tends to repeat itself, and when it comes to new technology, the adage could not be more true. As with the advent of railroads and electricity, fiber optic connection holds huge promise for households and cities but is being held up and held back by companies who do not want to lose control over internet provision. While countries like Sweden, Japan and China surge ahead with fiber networks that are transforming medicine, education and city management, the U.S. lags behind and suffers from low-quality, high-cost connectivity. The state transportation board has approved grants that will help provide safety improvements to six North Carolina airports. The country's largest electric company says it's challenging an order by North Carolina's environmental agency to excavate coal ash from all of its power plant sites in the state. Bank of America plans to raise its starting pay to $20 an hour over a two-year period, the bank said Tuesday, starting with a hike next month. Tariffs imposed by the Trump Administration have added to the costs of many goods imported from China, and that's having an impact on attendance at the High Point Furniture Market. More money is heading to North Carolina commercial fishermen whose landings were harmed by Hurricane Florence. A small Russian bank owned by former U.S. congressman Charles Taylor was stripped of its license Friday after allegedly breaking anti-money laundering rules. One young woman is walking to find work so she can send money back to Venezuela for a nephew who has leukemia. Another is traveling with four of her five kids, in search of food for her family. As another family hikes along, the husband walks ahead to hide his tears from his children. Women in North Carolina are likely aware that they make, on average, less than men do. New analysis from the National Partnership for Women & Families shows just how much and to what effect. Their new report reveals that women in North Carolina could afford nearly nine additional months of rent, close to a full year of child care, or more than five months of health insurance premiums if the gender wage gap was closed. Lack of reliable high-speed internet access is a persistent problem in rural North Carolina, but small broadband companies are springing up across the state to meet the needs of underserved communities. Light Rail Is Dead, Now What? The plan to establish a Durham-Orange Light Rail line is over. The GoTriangle board of trustees voted Wednesday to discontinue planning for the 18-mile line that would have connected the University of North Carolina at Chapel Hill and UNC Hospitals with Duke University and Duke Hospital and end at North Carolina Central University. Local grocers work hard to get the most beautiful fruits and vegetables onto market shelves. But a growing number of businesses worldwide are trying to cut down on food waste by selling the so-called "ugly" fruits and vegetables that would otherwise get left behind. The Eastern Band of Cherokee Indians could offer sports and horse betting at its western North Carolina casinos in legislation that appears ready to advance in the state Senate. The Durham Orange Light Rail project ground to a halt today as the GoTriangle board of trustees voted to discontinue planning for the 18-mile line from Chapel Hill to Durham. Small North Carolina brewers and alcohol wholesalers raised glasses on Thursday to what they call a legislative compromise that allows the breweries to keep control of their products longer as they grow. When you imagine someone who brews beer for a living, who do you picture? A chill guy in jeans and a baseball cap? He's probably white, maybe he has a beard. Opposition lawmakers urged Gov. Andrew Cuomo on Thursday to reconsider his ban on New York state-funded travel to North Carolina, so a group of state college swimmers and divers won't have to stay in neighboring Virginia during an upcoming NCAA championship meet. The new bridge on the North Carolina Outer Banks will carry the name of a former state lawmaker. The N.C. Board of Transportation voted on Thursday to name the bridge over Oregon Inlet for former state Senate leader Marc Basnight. After Nationwide Media Layoffs, What Is The News Landscape In NC? Host Frank Stasio speaks with North Carolina news media leaders about the news landscape and impact of newsroom layoffs around the state. This winter, waves of journalists across the country lost their jobs as major media organizations made significant cut backs. Among them, media giant Gannett cut an estimated 400 people, and The McClatchy Company offered voluntary buyouts to about 450 people. The mass layoffs follow years of staff cuts at newspapers and media outlets across the country. In an effort to cut down on recycling contamination, the Town of Aberdeen has begun refusing to collect from curbside containers that hold dirty or non-recyclable materials. Town Manager Paul Sabiston says those bins will receive a red rejection tag, urging owners to remove garbage and other misplaced items before the next pick-up. State Commerce Secretary Anthony Copeland on Monday announced a Job Development Investment Grant worth approximately $1.4 million to help bio-tech firm AveXis expand in the Research Triangle Park. A number of North Carolina communities are struggling to access safe drinking water. A WRAL investigative team tracked two decades of data and uncovered high rates of water violations, which are most pervasive in rural areas including the towns of Carthage and Butner in central North Carolina. After a bumpy bankruptcy process, the parent company of Chapel Hill-based Performance Bicycle found a buyer. But the new owner will close all of the stores, resulting in close to 2,000 layoffs across the country. Charlotte's reputation as a major banking center is getting a big boost. 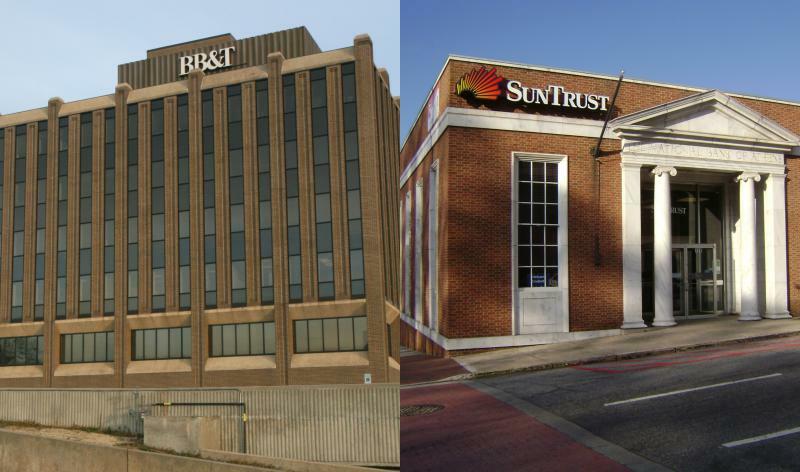 Southeastern regional banks BB&T of Winston-Salem and SunTrust of Atlanta are merging to create the nation's sixth largest bank. The combined company will have a new name, yet to be announced. And it will be headquartered in Charlotte. Two Southern banks giants — BB&T and SunTrust — announced they would merge in a $66 billion deal, the first big bank merger since the chaos of the 2008 financial crisis. 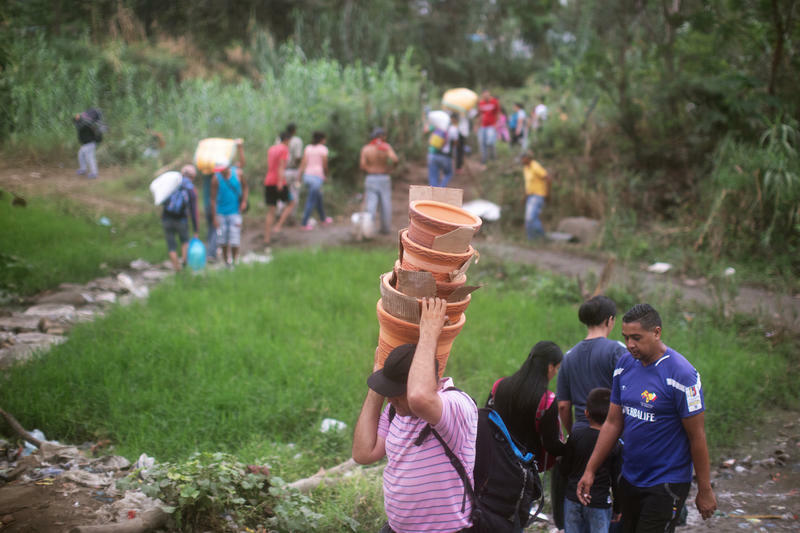 Some day-to-day experiences alert people of poverty in their community: long lines at the food pantry, individuals asking for change near a freeway exit, or family members juggling multiple jobs. But legal scholar Gene R. Nichol believes that the experiences of day-to-day poverty experienced by more than one million North Carolinians are invisible to most. Duke Energy is a finalist for a partnership with the Puerto Rican government to modernize the territory's energy grid. But lawmakers in Puerto Rico can't agree on how to privatize the electric utility. Will Michaels reports on what life has been like for some federal employees during the partial government shutdown. A small group of federal employees in North Carolina held another demonstration on Wednesday, demanding an end to the partial government shutdown.